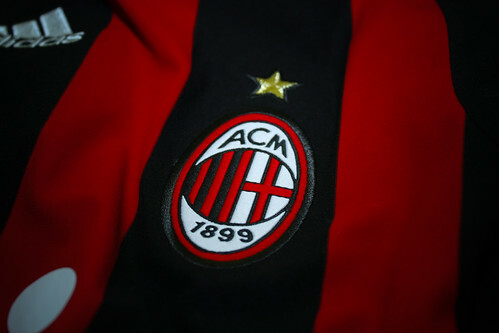 Ac Milan have officially begin their new adventure after confirming Massimilano Allegri as the new coach, now the questions being asked by fans and the press are about the new players that will wear the red and black jersey next season. Among many names, the one that constantly pop up on the media as future player for the Rossoneri is Brazilian international, Luis Fabiano, who reportedly was close in joining the fashion capital team last summer. Picking the pieces from last season, it seems that the Fabiano story still takes the headlines for many press this days especially with Adriano Galliani’s latest words that hinted the possibility. However, there have also been contradiction regarding the possible transfer news as both Sevilla president and also Fabiano agent’s still denying that Milan has made a contact with them. I have not received any official proposal from Milan and we haven’t spoken to Galliani in a year,” Fabiano agent’s spoke to the press. This lead to a very interesting question as how serious do the Rossoneri wants to acquire the 29-years-old service? Do they really put the Brazilian as their prime target or just their second or even third candidates? The answer can only be answered by the Milan management and coaching staff as their the one who have the actual list of players they’re eying on, personally I kinda feel that it’s the media that have more desire in wanting Fabiano at San Siro rather than the Rossoneri themselves. My prejudice simply based on the fact that there hasn’t been any new negotiation being made by Milan in their bid to purchase Fabiano as despite all the media speculation about the personal deal and everything, there hasn’t been any meetings between the three parties. Although there’s still lots of time for the negotiation to start, I believe that everything will be discussed first among the Rossoneri’s management and coaching staffs whether the Brazilian striker is the man their looking for or not. It seems that there are some consideration that is still being studied by the Milan’s management about the possibilities in acquiring Fabiano, such as Sevilla’s demands and the player’s age. Many have known that last season the Andalusia club asked a little bit too much for the Rossoneri’s liking and should the Brazilian striker put on a good performance at the world cup the price might still be out of reach. The fact that the striker probably has nothing more than 2-3 productive year, surely the Italian giant won’t want to make such a harsh investment as they have been doomed by the same kind of transfers in the last two-three seasons. Up till now all that I can say that Milan still hesitates on Fabiano, the Diavolo Rosso probably have some list of new players that they need to cover first before deciding to get the former FC Porto striker. The Rossoneri does have other positions that need more urgent additions rather than the strikers position, not to mention they might also have other candidates aside from the Brazilian number 9. It will be interesting to see whether the rumors about Fab turns out to be true or simply nothing more than just speculation without end products.